Posted on March 28, 2018 by Mat A. 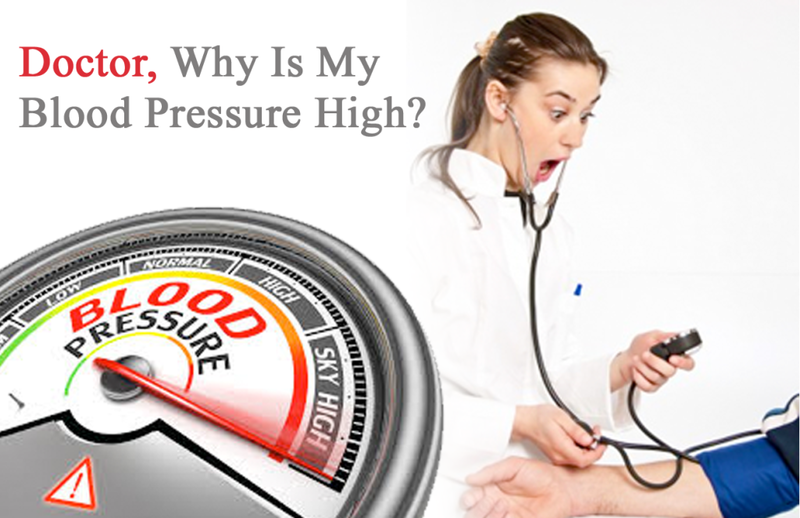 High blood pressure is of major medical concern in the United States. As a matter of fact, almost 30% of Americans suffer from higher than normal blood pressure. Even more alarming is just over 1/2 (54%) have their high blood pressure under control. High blood pressure costs the nation $46 Billion dollars annually which includes health care costs, medication, and lost time from work. This article is geared towards ways to lower blood pressure quickly. First, let’s take a look at some other facts and figures. 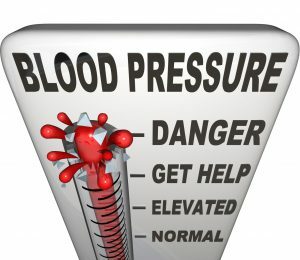 Nearly 1/3 of American adults suffer from prehypertension which is defined as higher than normal blood pressure but does not yet qualify for “high blood pressure”. This includes myself. Nearly every time I get my blood pressure taken mine is just about 130/84. More women than men suffer from high blood pressure. That being said for folks under 45 it affects more men than women. African American’s have a higher rate of high blood pressure than whites and Hispanics do. In 2013 about 1,000 people PER DAY died with high blood pressure being a primary or contributing cause. For more facts on high blood pressure I recommend this article “High Blood Pressure Facts” from the CDC. 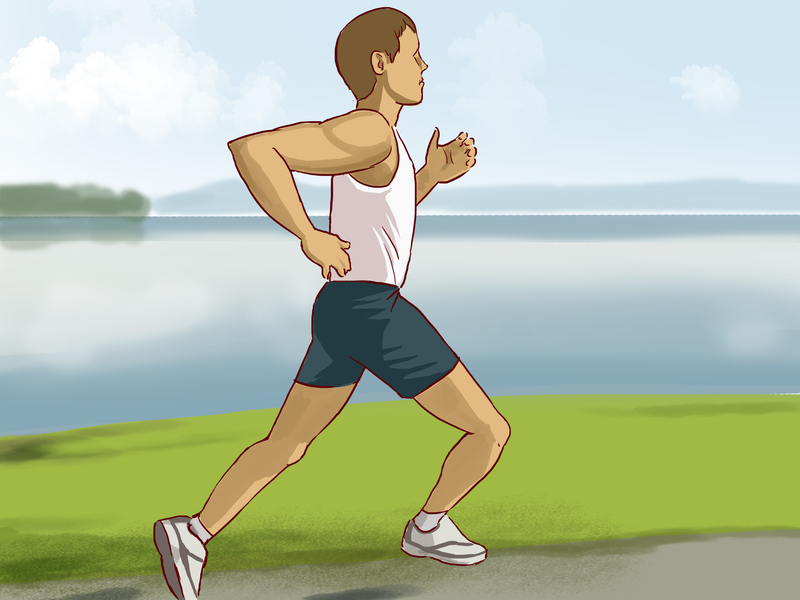 Increase your activity level – first of all start getting more exercise. If you already exercise and lead and active lifestyle then you can skip this step. The rest of you start doing some walking. Park further away and increase the amount of steps you take to work. Go for a walk in the evening (hey, spring is right around the corner). 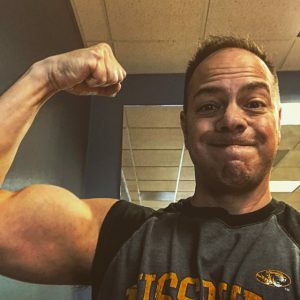 Go to the gym a few times a week. Throw a baseball with your son or daughter. Just get your body moving. Drop a few pounds – if you are overweight take steps to lose some of the extra pounds. Even losing 5-10 pounds can make a big difference. I know people who have lost 20 pounds and feel like a totally new person. Their energy level goes way up, they start sleeping better, they don’t have an appetite for the sweets as much, etc. There’s a lot of great benefits besides helping to lower your blood pressure when you drop a few pounds. Cut back on the processed foods – This one is HUGE on my list personally. When you really take a look at the amount of processed foods many people eat it’s crazy. This is not a joke – when I grocery shop sometimes the person checking me out will ask if I shop for 2 households. The reason being is there’s my pile of grub which is usually meat, fruit, and vegetables, and then there’s the rest of my household which is Cheese-its, chips, lunchables, mac & cheese, and pizza rolls. Do yourself a favor and get back to mother nature. Quit smoking – you knew I had to say it right? This is a no-brainer. Besides helping lowering your blood pressure quitting smoking is all around a good thing for your body. I don’t think I can’t count how many ways it’s better to not smoke. Reduce your stress – yes, I know this is a lot easier said than done. But is it really? Look, we all have stress in our lives (and I’ve written about it a few times on this website) like money or our jobs or if our kid is gonna buckle down and actually graduate high school. But the cool thing is we can manage a lot of this stress ourselves. We can CHOOSE how much to stress over things or not stress over it. Now somethings are easier to calm yourself about than others but in general we have a lot of power over the amount of stress in our lives. Eliminate as much as possible. Increase your sleep – I personally know how hard it is to get as much sleep as my body needs. I try to do too much and it can impact my sleeping schedule. I also know that when I do a good nights rest it makes a huge difference for me. When you can get some regular, well deserved rest on a fairly regular basis it can help you to lower your blood pressure – and your stress! Cut down on refined carbs and sugar – This one is good in general. Honestly if you cut down on your carbs and eat more protein and vegetables and fruit you’ll feel fuller anyway. This happens because you are now eating more protein and fat. Cutting down on sugar and carbs will not only help you lower your blood pressure but you’ll also lose weight typically and it helps lower the risk of other diseases such as diabetes. Try Yoga or Meditation – meditation has long been used as a way to reduce stress. Yoga, which involves controlling your breathing, posture, and parts of meditation, has also been shown to reduce stress. And as we already know if we reduce our stress it helps to lower our blood pressure. Now I haven’t been great at the meditation for a while but I do know that when I do it for even 20 minutes in the evening I am much more relaxed and I sleep very well that night. 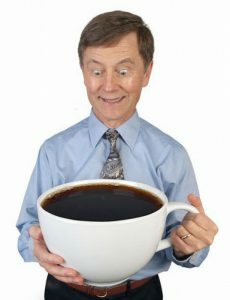 Put down that BIG mug of coffee – okay Sir Chug A Lot. I like coffee too. I make coffee at home and have a few cups of the dark liquid magic before I go to work. And then I stop. I know folks at my office who drink coffee fairly consistently throughout the day. Honestly I don’t know why they aren’t walking around with a blood pressure cuff on their arm constantly. So limit the coffee intake. Medicate – If you need to go the medicine way that’s fine. High blood pressure can be hereditary so there’s a good chance medication will help. If you’ve tried some of the more natural ways to lower your blood pressure and it’s not helping as much as you’d like go see your doc and talk to him or her about it. I’m sure they’ll be happy to help you find the right medication to help lower your blood pressure. High blood pressure is nothing to mess around with. 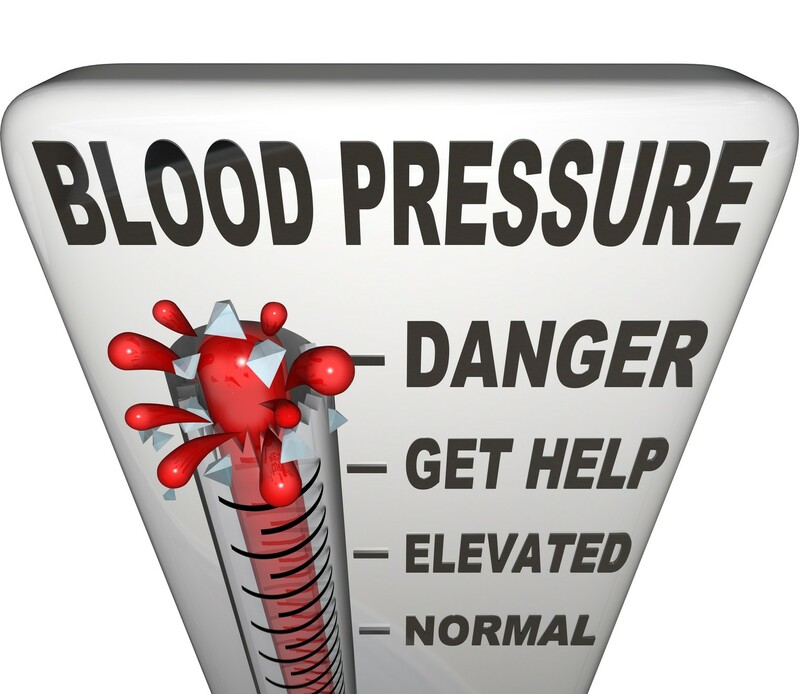 As we mentioned earlier almost 1/3 of Americans suffer from high blood pressure. Left untreated it can lead to lots of health problems, not the least of which is blood clots leading to your brain and a stroke. If you have high blood pressure try some of the above mentioned methods to help lower your blood pressure. Some of them could even work quickly! If you have some other thoughts or ideas on helping to lower your blood pressure please share. Thanks a lot for the post! That’s a lot of useful information and I wasn’t aware that there are so many ways to lower blood pressure! I was most familiar with exercise, but coffee as well? That blew my mind! I’ll definitely try and cut down on my cups of Joe through the day. Do you think it’s best to just drink coffee in the morning? Thanks for the thoughts, really appreciate you sharing. Coffee, and other caffeinated drinks, can be contributors to elevated blood pressure. I do think it’s best to stick to coffee before noon!! I am sure both man and woman will find your info quite useful. Women too, after a certain age develop a significant increase in blood preassure even higher than man. Blood preassure levels spiking out of control are a huge problem in our contemporary lives. Major lifestyle changes go a long way in helping put those irregularities at ease. Great choice of recomended actions to help balance hyperthension in man. Thanks!!!! Hi Jackie – thank you for the comment and your thoughts. Major lifestyle changes make a huge impact, thank you for your words. Keep stress and blood pressure under control! !